Today is the last day in a weekly series of fabulous guest bloggers who helped me out after the birth of our baby girl. Erica’s may have been the very first blog I read when I began blogging, and I was instantly hooked. At What Do We Do All Day, Erica shares phenomenal book lists, indoor activities for their small New York City apartment, tons of science and math fun… and so much more! Please hop over and follow her blog with me! 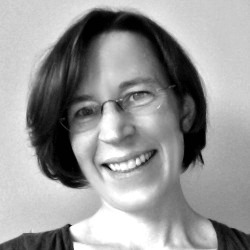 I am delighted to be able to share my love of books at The Measured Mom, today! One of my favorite ways to spend time with my kids is to read with them. It’s easy, can be done anywhere at anytime, and best of all, it encourages snuggling. Needless to say, reading aloud also builds literacy skills, increases vocabulary and teaches empathy. At my blog, What Do We Do All Day?, I create a weekly book list to help parents find good reading material for read alouds as well as independent readers. 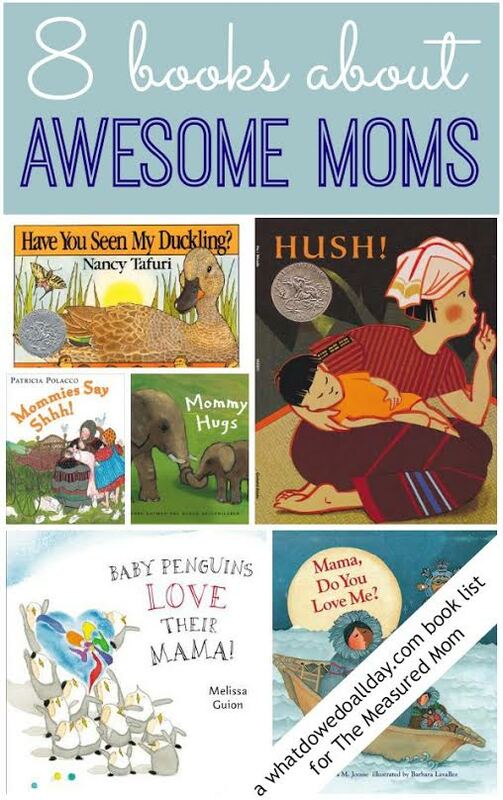 With Mother’s Day coming up next month, it is the perfect time to share kids books that feature awesome mothers. 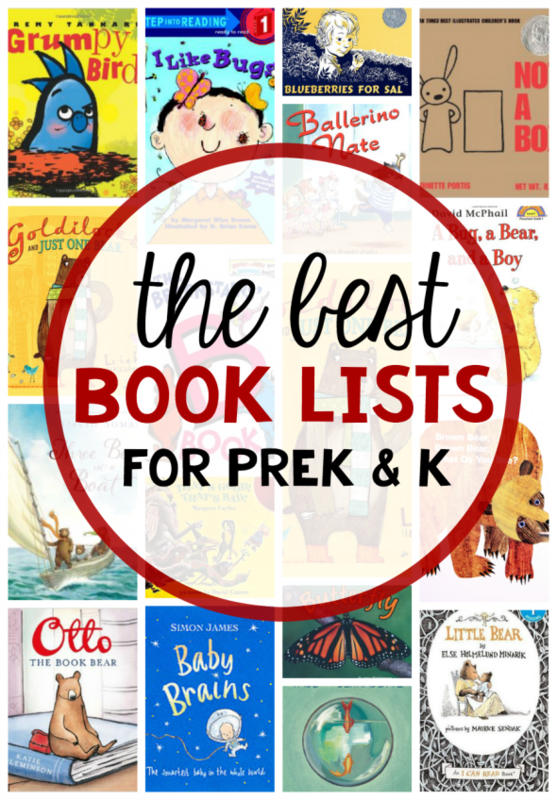 So snuggle up with your kids and read a few of these books. Baby Penguins Love their Mama is a brand-new book by Melissa Guion. Mama penguin spends everyday of the week teaching her baby penguins (and there are a lot of them!) all the necessary penguin skills, like fishing, snow sliding and waddling. One of her progeny suggests they may one day do everything better than Mama! Mama wonders, what will she do then? The answer will bring a smile to your face. Doodleday. One day, Mom freaks out that Harvey is drawing. “Drawing.. on Doodleday? Are you crazy?” Well, Harvey decides not to listen to his mother (always a mistake, right?) and he learns the hard way what exactly she meant by “Doodleday”. Fortunately, his mother has the solution and saves the day (typical). Mama, Do You Love Me?. In this lovely story a Inuit daughter asks her mother a series of “what ifs”. What she really wants to know, of course, is if her mother will love her no matter what she does. I think this story remains timeless because both parents and kids can relate to anxiety over being accepted and the comforting message of love in the face of anything. The Runaway Bunny. “‘If you run away,’ said his mother, ‘I will run after you. For you are my little bunny. '” As a child, I found those words comforting. This classic from Margaret Wise Brown and Clement Hurd (the same team behind Goodnight Moon) features a mommy bunny who can transform into whatever her son needs, no matter where he is. Hush! A Thai Lullaby. I love this story about a mom who puts her child to bed and then hushes all the creatures around her so her baby can sleep. The gentle onomatopoetic sounds from the animals and the rhythmic text make this a lovely book to read at bedtime. Have You Seen My Duckling? In this nearly wordless book a mama duck and her ducklings set off one morning for a swim. One of the little ducklings wanders off to explore on his own, but mama, ever vigilant in the care of her brood, spends her day searching for him. All is well when the family is reunited. Mommy Hugs is a very sweet and short board book about how different animals hug their moms. Elephants squeeze, parrots nibble, polar bears tickle, and you and your child will be hugging by the end of the book. Patricia Polacco is well known for her very lengthly picture books. Such is not the case with the delightful Mommies Say Shh!. If your child loves to make animal noises, they will love following along with the language of farm animals and mommy’s “shh-ing.” There’s one animal, however, that says “nothing at all.” Can you guess which one? Do you have any favorite picture books that feature mothers in a starring role? © 2014 – 2016, Anna G. All rights reserved. 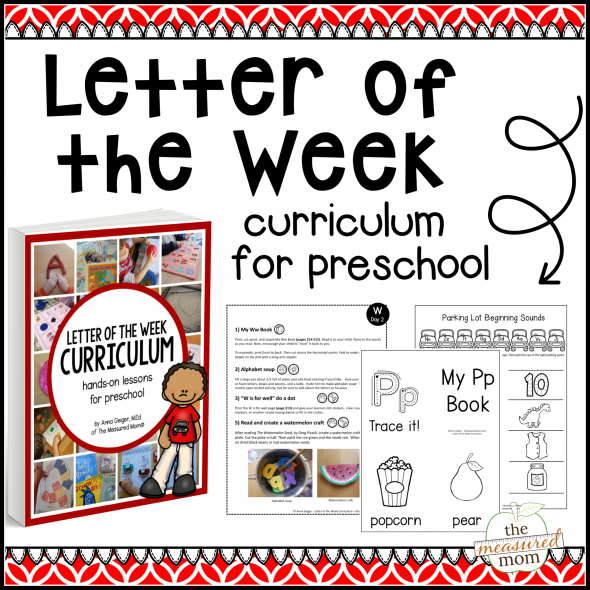 I always love Erica’s booklists! For sure — I love getting yours, too! Thanks so much for writing over here, Erica – I’m so honored to have my first favorite blogger over to my site. I’m glad your oldest is a little order than mine so I can always look to you for inspiration! Thanks for ‘re-introducing’ me to Erica! I have so many blogs in my RSS reader, but I’d overlooked her somehow! What a wonderful list! Thanks for linking up to The Thoughtful Spot, and congratulations on your new baby! Our youngest was born on Saint Patrick’s Day this year!